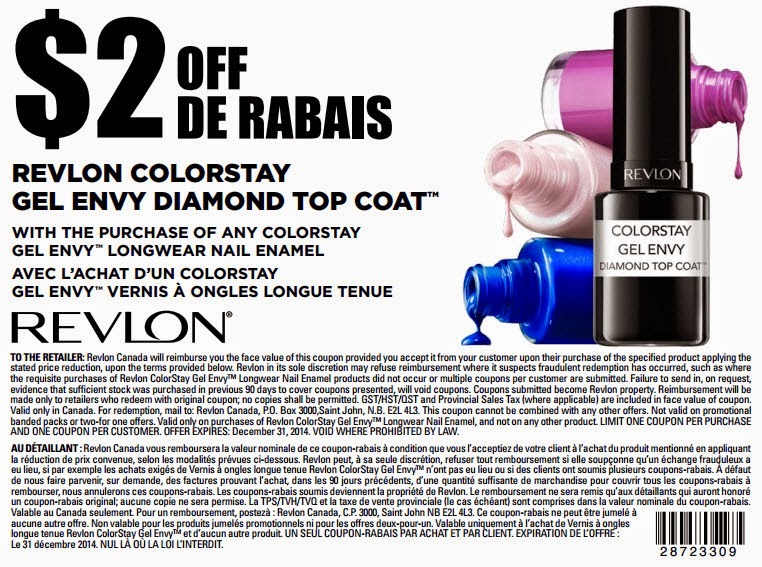 Revlon offers a $2.00 coupon on Revlon Colorstay Gel Envy Diamond Top Coat when you buy any Revlon ColorStay Gel Envy Longwear Nail Enamel. Download and print out the coupon directly from here [PDF file]. If the coupon is not accessible, just download the coupon image below. Yes, to profit from the $2.00 coupon, you will need to buy any Revlon ColorStay Gel Envy Longwear Nail Enamel. There is a limit of one coupon per purchase and one coupon per customer. This offer expires on December 31, 2014.